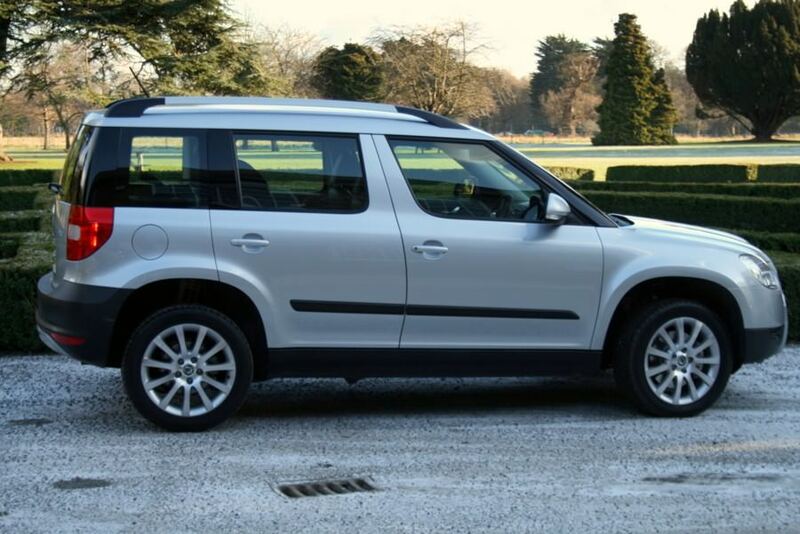 It might have a rather odd name, but the Skoda Yeti has been tremendously well received. It might have a rather odd name, but the Skoda Yeti has been tremendously well received, gaining praise throughout all the markets it’s sold for its chunky good looks, practicality and enjoyable driving character. Dubbed a ‘crossover’ to rival the likes of Nissan’s Qashqai, the high-riding Skoda’s success has caught even its maker by surprise, the Yeti so desirable (and relatively new given its 2009 introduction) that it still commands high prices on the used market. It might have the beefy, upright stance and looks of an off-roader, but not all Yetis are sold with four-wheel drive. Indeed, only a handful of the higher output diesel engines deliver drive to all four wheels. The range consists of a single petrol engine - a 1.2-litre turbocharged unit - while the diesel line-up is made up of the 1.6-litre TDI unit with 105hp and Greenline fuel saving technology, or a 2.0-litre TDI engine with 110-, 140- or 170hp. The diesels offer the best all-round performance, their ample mid-range punch working well in the Yeti. Unless you really need it the 4x4 system only adds weight, complexity and punishes you at the fuel pumps and in terms of emissions, though if you do need its off-road ability the Yeti climbs, clambers, wades and scrabbles better than most crossovers. That doesn’t translate to clunky on-road performance though, the Yeti’s on-road refinement and dynamics impressing. Trim levels follow the Skoda norm, meaning the base Active trim starts the line-up, but its entry-status doesn't mean it’s stingily equipped - air conditioning, roof bars, alloy wheels, chunky body mouldings and VarioFlex rear seating all coming as standard. Ambition adds some sparkle and Electronic Stability Control (ESC), some leather trim inside, Bluetooth connection and parking sensors, while Elegance comes with everything conceivable, the list including a touch-screen infotainment system, dual-zone climate control and cruise control. Greenline models add stop-start technology for maximum fuel economy, though lose their spare wheel - it being replaced by a compressor kit. It’s difficult to ignore the low consumption and emissions on offer from the 1.6-litre TDI engine. It’s more than up to the task of hauling the Yeti around, and there’s plentiful choice on the used market. Trim levels depend on your budget, though really you’re not short-changed on equipment by any of the specifications, so shop around and find the one that suits you. The Yeti hasn’t been around very long, but it has proved to be a huge success both here in Ireland and throughout Europe. Fine driving dynamics, good looks, excellent build quality and versatility really count in its favour, but its recent introduction means that for many even used it’s still out of reach. Worth waiting or saving for though, as the Yeti, name aside, is a really rather brilliant car.